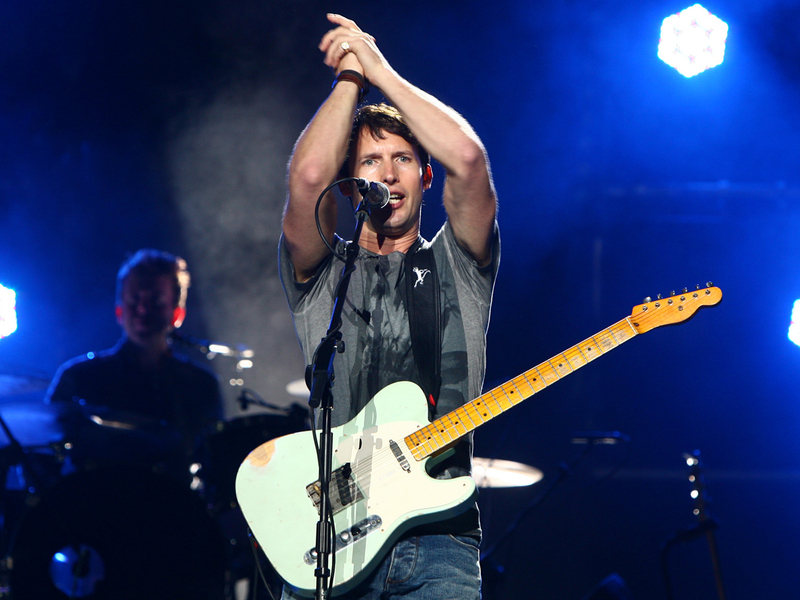 Is James Blunt quitting the music business? Has James Blunt quit the music business? Hardly, it seems. A recent interview with the U.K.'s Daily Mail had fans wondering whether the 38-year-old British singer was throwing in the towel. After word spread of his so-called "retirement," Blunt posted this message on his Facebook page: "The Mail on Sunday has reported that James Blunt has split up due to musical differences. Neither could be reached for comment due to recording commitments. -- at Conway Recording Studios." He also linked to a BBC America article, which disputed his retirement. So, it appears that Blunt was being tongue-in-cheek while chatting with the Daily Mail journalist at a nightclub opening in London. Either way, the "You're Beautiful" singer has been spending a lot of time with his model girlfriend, Sofia Wellesley, since wrapping his tour earlier this year. "Sofia and I had a great time hanging out with friends on my yacht but we partied as well," he told the Daily Mail. "I do like a good night out and that is why it's great fun to hang out at Barbarella. London needs more nightclubs like this." Blunt first burst on the music scene in 2004 with the Grammy-nominated debut album, "Back to Bedlam." His most recently album, "Some Kind of Trouble," came out in 2010.